This event is being rescheduled for a later date. 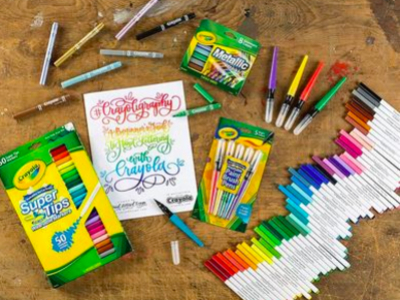 Join the fun for a Crayola CIY: Create It Yourself signature event and discover how to turn your signature into a hand lettered work of art. At this hands-on workshop, artists of all ages will learn to master calligraphy basics and use a layered marker technique to create an artful alphabet.